As a business lawyer, I am often asked questions about 1099 workers. Unfortunately, running a business isn’t just about doing what you love. 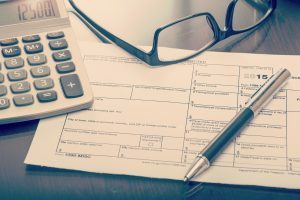 It is also about making sure you are in compliance with the law and on the right side of the Internal Revenue Service (IRS). Understanding 1099s and when they should be issued is one of many critical components to running a successful business. A 1099 form is an IRS tax form which reports income that is not considered wages, salaries, and tips. Wages, salaries, and tips are reflected in Form W-2. As you might imagine given the varied list above, there is more than one type of 1099. 1099-B is for barter exchanges and broker transactions. 1099-DIV is or dividends. 1099-G reflects state and local tax refunds, as well as unemployment benefits. 1099-INT is for interest earned. 1099-Misc reflects “Miscellaneous Income.” 1099-R is for payouts from retirement accounts, as well as pensions. 1099-S is for real estate transactions. Businesses must send out 1099s for the prior calendar year to recipients by the end of January of the following year. However, businesses must also send copies of their 1099s to the IRS by the end of February. Similarly, if the 1099 is being sent to a person in a state that has income tax, the state must also get a copy of the 1099. If you are running a business, contact the Portuondo Law Firm to discuss what a business lawyer can do for you. All too often, business owners try to go it alone. Unfortunately, when you don’t know what you don’t know, you can make costly mistakes. When to issue 1099s is just one example of things business owners are expected to know. However, most business owners would prefer to spend their time and attention focused on their business. 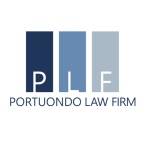 At Portuondo Law Firm, we offer contract drafting and review, business start up packages, consultation on employee issues, transaction legal services, general business consulting, and more. Contact us at 786.440.8615 or click here (make the word “here” the contact page link) to get started. Let us provide the legal support services you need to successfully run and grow your business.